For many, 2017 was a year of shocks. We saw some of the deadliest mass shootings in U.S. history. We witnessed a president with little political experience take office and operate far outside the traditional norms of American leadership. We saw the voices of thousands of women take down some of the most powerful men in media and politics. We saw the country become increasingly divided — politically, economically and socially. As we look forward through 2018, KQED will present a six-part series of live conversations across the Bay Area exploring some of the most polarizing topics of our time: politics, race, gender, immigration, extremism and more. We’ll ask the questions that divide us and look for the answers that unite us. Audience members will have an opportunity to talk about solutions to our growing polarity as they meet and mix during a post-conversation reception. Author Ijeoma Oluo ("So You Want To Talk About Race"), UC Berkeley Center for Right-Wing Studies professor Lawrence Rosenthal, and the Anti-Defamation League's director of Technology and Society, Brittan Heller, explore polarized politics, emboldened white nationalists, and how we can move forward in a time of intense division. Panelists discuss what comes next after #MeToo, before audience members tackle some of the most biting questions surrounding the issue in an interactive conversation with each other. Wednesday, April 25, 12:30 p.m. Audience members will get to join a panel of experts as they discuss the social and political implications of shifting demographics at the national, state and local levels, and explore what happens when the minority becomes the majority. Sanctuary cites, families divided and ICE creeping into some of the most vulnerable communities. How long can communities stay in the shadows? What are the consequences, and how are these communities creating their own narrative? A ZIP code can reveal a lot, including geographic inequality and the likelihood of upward mobility in different locations. In this event, audience members will join a panel of experts and activists as they explore one of the most pressing social and economic questions of our time: Does your ZIP code determine your fate? 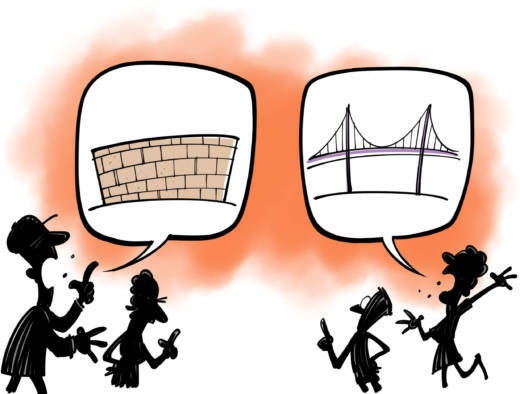 Monday June 4, 7 p.m.
Do Bay Area policies reinforce racism? Panelists and audience members will discuss whether local policies are discriminatory in one of the more progressive regions in the country.